The naming of Nepenthes hybrids is an area of great confusion due to use of incorrect names and synonymy. Identical crosses made by different people and/or at different times were often given distinct names. This state of confusion could have been eliminated if there were a clearing house to keep track of hybrids and cultivars. Poor record keeping resulted in misnaming some hybrids. The names listed here are those researched by Ron Fleming, and appeared in the March 1979 issue of the Carnivorous Plant Newsletter. The names are followed by the breeder's name when known, date of the cross or when it was offered for sale, the "hybrid group," and its supposed lineage. The "hybrid group" indicates that the plant is almost identical to other named hybrids. The "hybrid group" name used is usually the earliest hybrid of the group. Nepenthes hybrids of Japanese origin before 1978 as compiled by Mr. Isamu Kusakabe. The hybrid name is followed by the breeder and date. The medium should be well drained. Common media used are living or non-living sphagnum moss, sphagnum peat moss, mixtures of sphagnum peat moss with sphagnum moss, sphagnum peat moss mixed with coarse sand (about equal volumes of each), and chopped osmunda fiber. 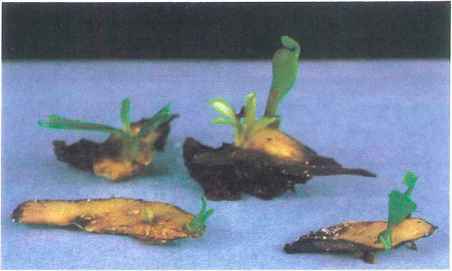 Some Nepenthes grow in sandy to clayey soils in their native habitat. We have not used nor do we know of anyone using these soils for growing them.